Cost varies based on what you want to get we do many things some are just fireplace installation, some are complete remodels with tile, electric, mantels etc. We would love to give quotes based on what your interested in getting. 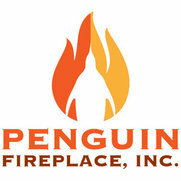 7 Projects for Penguin Fireplace, Inc.
6 Reviews for Penguin Fireplace, Inc. 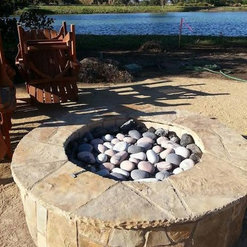 The team at Penguin Fireplace is extremely personable, professional, and knowledgeable, and I have nothing but positive things to say about our experience working with them. My husband and I knew we wanted to replace the wood-burning fireplace in our home during our remodel, but didn't know where to start. At our first visit to Penguin, Eric patiently and thoroughly talked through all of our options with us. We visited a couple of other retailers to compare approach and price, but we ultimately landed on Penguin due to the personal touch Penguin provided compared to the others (while still offering competitive prices). 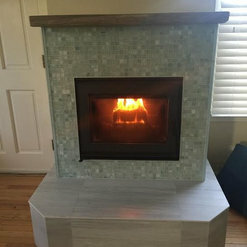 We had a vision of the fireplace we wanted, and between sharing a few Houzz pictures and verbal descriptors, Efrain and team were able to create a sketch of the tile layout, custom mantle, and all components for our selected fireplace. We ordered everything for the fireplace (except for the tile) through them, including the gas unit itself, logs, doors, and custom mantle. The design and construction turned out better than either of us has expected. Furthermore, communication was a breeze - Eric/Gladys were always extremely responsive and clear in their communication. Every time we see our fireplace we are thrilled and reminded of what a wonderful job Penguin did and how they contributed to making our house truly feel like a home. Thank you Efrain, Eric, Gladys, and team! I originally went into Penguin Fireplace to look at gas inserts. They were very co-operative and helpful and I found their prices to be very competitive. 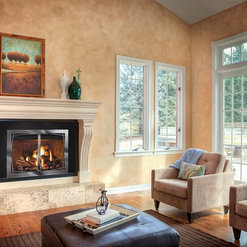 I was surprised to find out that they also remodel existing fireplaces. I wanted to convert my wood burning fireplace to gas and completely remodel the fireplace as it was very dated. I took a picture to them of what I wanted and they matched it perfectly. They do it all and their workmanship is superb. 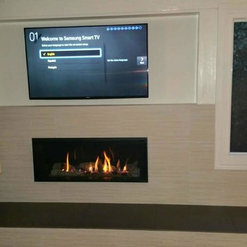 My job consisted of plastering over some brick, installing a gas insert with a gas line and electrical connection , tiling a hearth and vertical surround of the fireplace opening and building a mantel. This was all done by a crew of two who had all these skills honed to perfection. Price for this work was well under the quotes I got from other contractors. I had to wait about 5 weeks for them to start but they started on the day they said they would and worked Monday through Friday until the job was completed. The crew was very friendly, co-operative , trustworthy and professional. Communication from the office was excellent and informative. 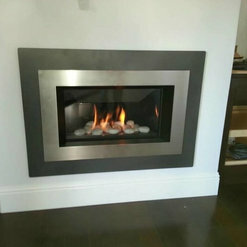 Penguin Fireplace's prices were competitive, and their workmanship was excellent. When they arrived to do the job, they weren't distracted by other jobs, and got the work done quickly at a high level of quality. The one watch-out is that you have to determine the fireplace style, pick out the stone, and source the mantle yourself (which took me a LOT of time) with very little guidance from Penguin. Thankfully I was not working at the time and therefore could dedicate days to source the raw material and figure things out myself. Not a knock on Penguin... just know that there are some DIY elements in the process. We fell upon Penguin Fireplace by chance, but were extremely lucky to do so. 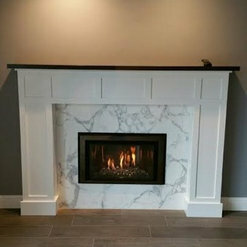 We had their company design and install 2 mantels for our home. The mantels come out GREAT! Their install team was clean, professional, and detail-oriented. Quality products and reasonably priced! 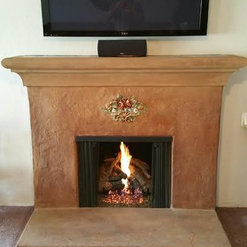 We hired Penguin Fireplace to install a new gas fireplace in a wall space that previously held a fish tank. They were extremely helpful in working with us to re-design the space, as we weren't sure what we wanted. The process was incredibly easy from the in-home assessment through the installation. The project was completed ahead of time, looks beautiful, and we have had no issues. I highly recommend them. Penguin fireplace remodeled two fireplaces in our home and did an excellent job from start to finish. They worked quickly, we're super friendly, and came in right on budget. A pleasure to work with all around!